The Great Wall of China is one of the most interesting things in the world to see. People from all over the world go to see it. But they can only see part of it because the Great Wall is 4,500 miles long. There is a history about the Great Wall. In 1449, the Mongols attacked China and kidnapped Zhu Qizhen, son of Heaven, sixth emperor of the Ming dynasty and ruler of all China. The Chinese people were so frightened of the Mongols that they decided to build a wall to keep invaders out. Many workers were needed to build the wall. Tens of thousands of men helped to build the Great Wall of China. The wall was built to shape and fill the Chinese landscape it passed though. The Chinese people took 200 years to complete it. Some people from Blair have gone to see the Great wall. One of them is Mrs. McElroy, a science teacher. She went to see it in 1992. "In my whole life I wanted to see the Great Wall. 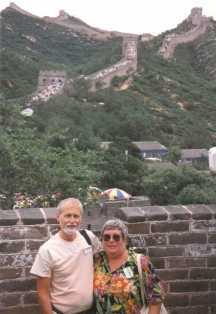 I thought the Great Wall was very interesting and beautiful," Mrs. Mcelroy said. They got to the Great Wall from a small city called BaDaoLieng. Usually the visitors only stay there for 15 minutes or longer. As they climbed far, there were only a few people because the Great Wall was so big. The things around them were beautiful. "The Great Wall has the same shape of a dragon's body. Dragon culture means it has a lot of power," Mr. Wang said. "They built it to show the power of China." The Great Wall is something that makes China famous. But lots of Chinese people can't see the Great Wall because they are poor and traveling is very expensive. 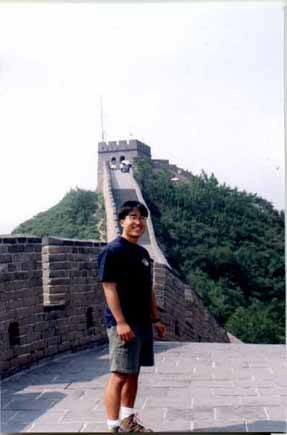 It is very difficult for people to get money to go to visit Great Wall. Liwen Ye, the writer of this article, lived in China for 15 years before coming to the U.S. Unfortunately, she never had a chance to go see it. But she hopes that some day she will have that opportunity.